Harrison Ford's career has spanned six decades. From a contract player at Columbia Pictures in the 1960s to starring in Hollywood gold like Indiana Jones and the Kingdom of the Crystal Skull and Cowboys and Aliens, Ford has been at the top of the movie heap for most of his life. Alan McKenzie's biography of Ford was first published in 1984 and at the time was the first in-depth coverage of the actor's career. Now, 25 years later, the author has completely revised and expanded the text to chronicle the last couple of decades-worth of Ford's films, including such diverse projects as Witness, What Lies Beneath and the Jack Ryan franchise. The Harrison Ford Story chronicles all this and more. 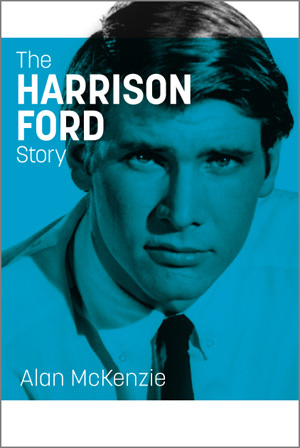 Illustrated with 16 black-and-white pictures, The Harrison Ford Story is a 204-page softcover book, price £8.99.